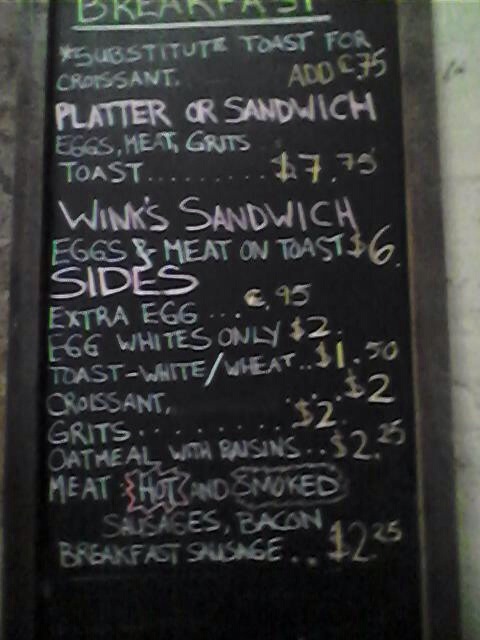 July 9, 2014 by D.W.
“In the morning, Wink’s also serves hot items, such as grits, eggs and hash brown. At lunch, there are po-boys and daily specials. This entry was posted in French Quarter and tagged Beasts of the Southern Wild, buttermilk drops, French Quarter, Mr.Henry, New Orleans, restaurantnts, Wink's.